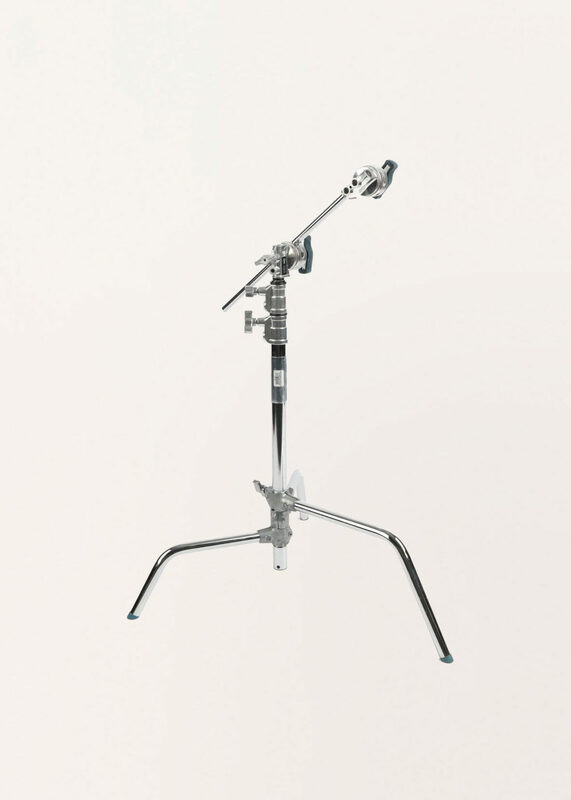 This is the smaller of our c-stand options. This model features a removable turtle base, and folding legs that make storage and transport easier. We provide a standard baby grip head and a small grip arm with these stands. This size stand is also available with a sliding “Rocky Mountain” Leg.